Genuine OEM Xerox Solid Ink Sticks, Yellow 3,000 page yield. Xerox part number: 108R00671. 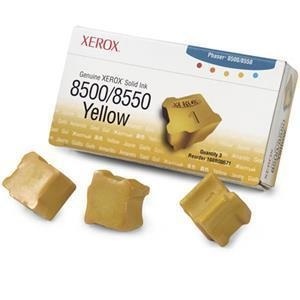 Solid Ink Sticks compatible with Xerox Phaser 8500, 8550.